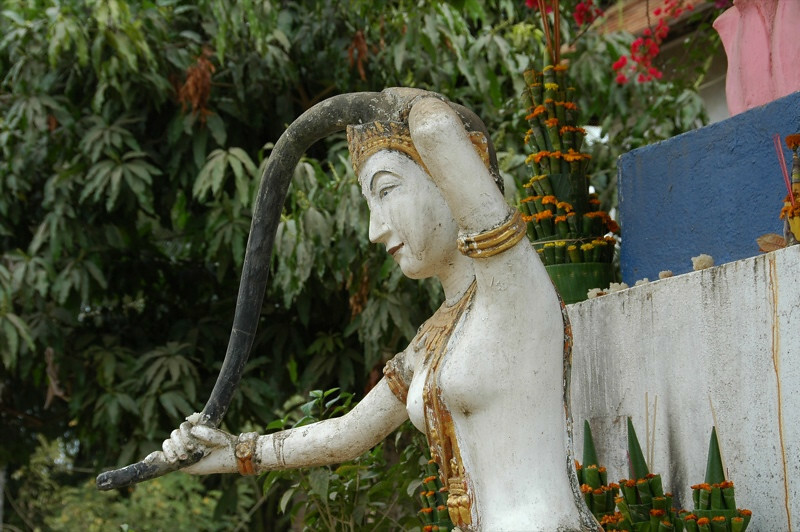 We have seen this type of statue - a woman with long, black hair wringing out water - in many temples in Laos, Thailand and Cambodia. After asking around and doing some research, we found out she is Torani, Earth Goddess who helped Buddha defeat the evil Mara and demons when they tried to prevent his meditation and his path to enlightenment. The Earth Goddess wrung her hair out with water that contained all the blessings from his many lives. This resulted in so many blessings that Mara and the demons were flooded and washed away.